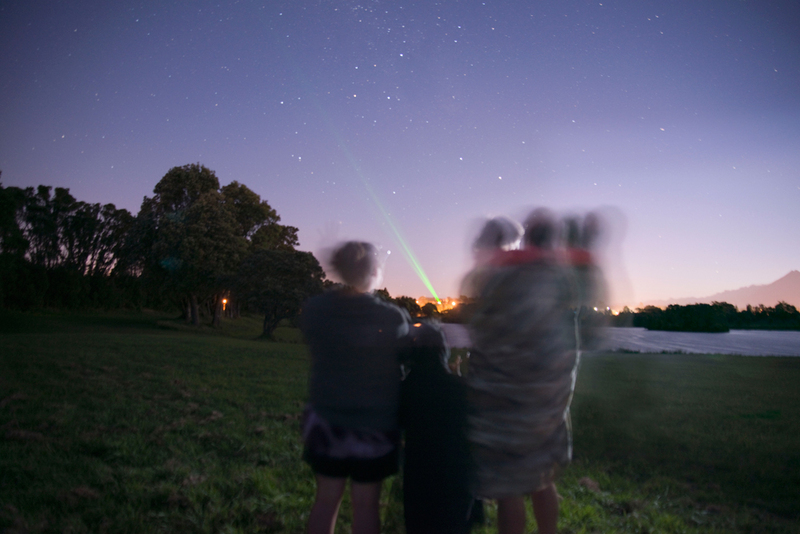 Ko Tatou Te Tangata by Stuart Foster and Kura Puke, with Dr Te Huirangi Waikerepuru and Te Urutahi Waikerepuru, utilises laser light technology to carry sound and was selected as an Intercreate Media Art Project in 2014. The laser light was transmitted from Katere Ki Te Moana marae 3kms to the site of Te Rewa Rewa pah and carried waiata, karakia and karanga which could be heard from speakers in a Ti Kouka tree. Detailed and comprehensive statement of the process of the artwork by artists Stu Foster and Kura Puke.